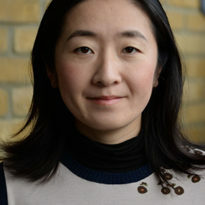 Misato is a Deputy Director of CCCEP. Misato’s research aims to provide a robust evidence base on how regulated companies and sectors respond to energy and climate change policies, in an effort to help improve the design and effectiveness of current polices to better support industries in their low-carbon transition. Her recent work uses economic and econometric methods to evaluate how climate policies such as the EU Emissions Trading System affect the economic performance of cement, steel and other sectors, and how they influence business decisions or outcomes on the various dimensions of competitiveness such as trade, innovation, employment, costs, profitability and investment. Misato currently holds an ESRC Future Research Leaders award for the project “Assessing the trade and innovation impacts of climate change policies: do they help UK firms or competitors abroad?” (2016-2018). Misato completed her Ph.D. in Environmental Economics at the LSE. Prior to her doctoral studies, she held roles as a research assistant at the Faculty of Economics, Cambridge University and Providence University, Taiwan. She has a MSc in Environmental and Resource Economics from UCL and an MA (Joint Hons) in Economics and Chinese from Edinburgh University.